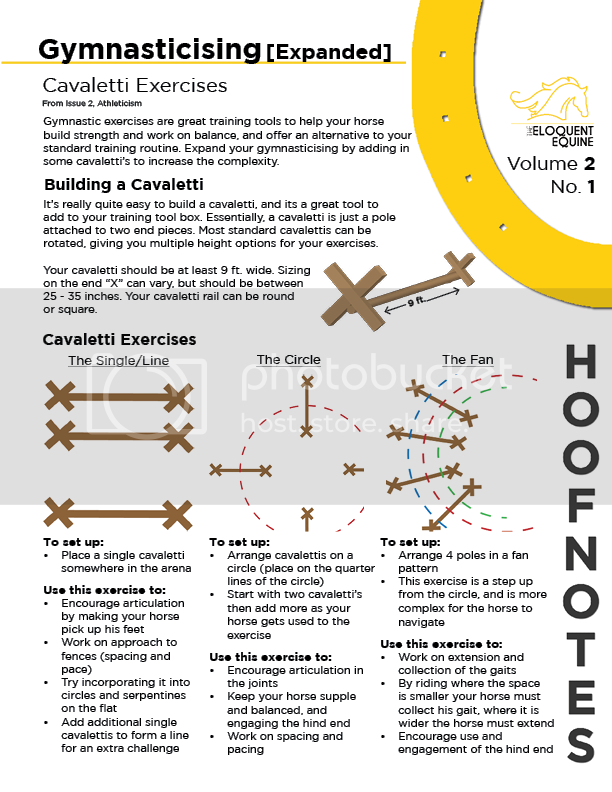 We’re back and bringing you an all new volume of HoofNotes tip sheets for 2015! Volume 2, No. 1 expands on the trot pole gymnastic exercises provided in HFN 1.3, and ups the complexity by adding some cavalettis. It provides some great exercises for cavalettis into your training routine. This HoofNote is based on a larger article on Gymnasticising your horse, featured in Issue 2, Athleticism.